You've integrated Google Analytics and AdWords, and created a few conversion goals. Now what? Let your data do the work of evaluating ad performance by defining and monitoring conversion success. The success of your goal conversion data will be based on its relevance to both business and marketing metrics. Learning what drives engaged visitors and leads to sales is essential for understanding which elements of an ad campaign worked well. Fine-tune your Google Analytics goals to display just the data relevant to marketing decision-making. Whether it's click-through rates, impression counts, or destination tracking, setting the correct goal is the basis of evaluating your ad performance. To view the conversion rates for the goals you've created, sign into your Google Analytics account and navigate to the Conversions menu, then the Goals menu, and finally click Overview. The Overview page provides a dashboard summary of key performance indicators, including the total number of goal completions over time (by hour, day, week, or month). If you've set up monetary values for your goals, this information is also available within the dashboard, along with conversion and abandonment rates. The most relevant data will come from your custom goals, where completion data can be imported into AdWords. To import your goal conversions into AdWords, log into your AdWords account, then click the Tools tab and select Conversions. Click Google Analytics in the left-hand menu, and check the boxes next to the goals you'd like to import. Click Continue, select the overall settings, then click Import Goals. AdWords will correlate your site engagement metrics alongside your AdWords performance stats to show the full customer cycle, from the initial marketing interaction to full goal conversion. Look for graphical representations of data that include bounce rates, session durations, pages per session, and the percentage of first-time sessions to show how efficiently your campaigns are performing. Real-time reports: Monitor user activity as it happens on your website with real-time user location data, traffic sources, and conversions. Audience reports: Analyze your audience with demographic data, affinity categories, in-market segments, and engagement data. Acquisition reports: View acquisition data from all traffic, social, campaigns, and AdWords, including detailed AdWords reports analyzing clicks, cost, CPC, bidding, keywords, and search queries. Behavior reports: Observe user behavior flows, view average page loading times and speed suggestions, track events, and manage events flow. Conversions reports: Access goal conversion data with reverse goal paths, funnel visualization, goal flow charts, Ecommerce behavior, sales performance, multi-channel funnels, and attribution models. Google Analytics provides easy access to your site engagement metrics, and world-class data analysis tools to assist digital marketers in evaluating ad performance. As the most widely used web analytics service on the internet, Google Analytics offers website marketers world-class traffic analysis tools at no cost. 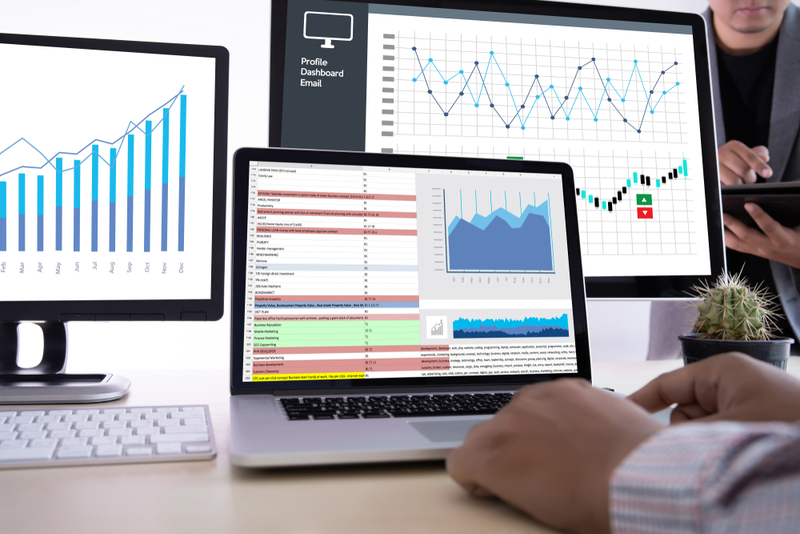 While enterprise users may wish to upgrade to the fee-based Analytics 360, the standard Google Analytics service offers plenty of tools to help marketers optimize website usage. The Analytics dashboard allows for a fast comparison of page views and users over time, high-traffic times of day, page popularity, and user retention. You can drill down a bit deeper to find information about how your users access your website (via desktop, mobile, or tablet), where your users are located (by country, state, or city), and where your traffic comes from (direct, organic search, referrers, or social). Advanced users can access goal performance metrics, AdWords campaign performance comparisons, and data for ecommerce websites to identify top-selling products. With easily customizable views, the Google Analytics dashboard can display real-time trends for campaign monitoring. Audience: Evaluate demographics, interests, and benchmarking. Acquisition: Make a detailed AdWords campaign, social sharing, and keyword comparisons. Behavior: Examine site content, page views, and speed data. Conversions: Initiate goal tracking, monitor ecommerce conversions, and identify multi-channel funnels and attribution. Once you've created an account at google.com/analytics, you'll need to set up a property, or collection point, for your website. On the Admin page, choose the Property column, then select Create New Property. Once you've entered your website basics, click Get Tracking ID. Your Google Analytics Tracking ID and its tracking code snippet will need to be copied into the code of each webpage you want to track. Once it's added, you'll immediately be able to see Analytics data in your dashboard. For deep content integration, consider using Google Tag Manager to unlock even more Analytics features. This dynamic tagging system allows you to update page tags directly from Google Tag Manager rather than having to edit your website's code. Link your AdWords account to your Google Analytics dashboard to see data related to acquisition, behavior, and conversions for each AdWords campaign. First, create an AdWords account at google.com/adwords. Within the "Billing, Account Setting, and Help" menu, select Linked Accounts. Under the "Google Analytics" heading, click View Details. This menu will show a list of websites for which you have linking access. Select Set Up Link next to the property you'd like to link. Next, choose the Link setting to make AdWords click-and-cost data available in Analytics, and Analytics transactions and goals available in AdWords. Click Save to complete your changes. 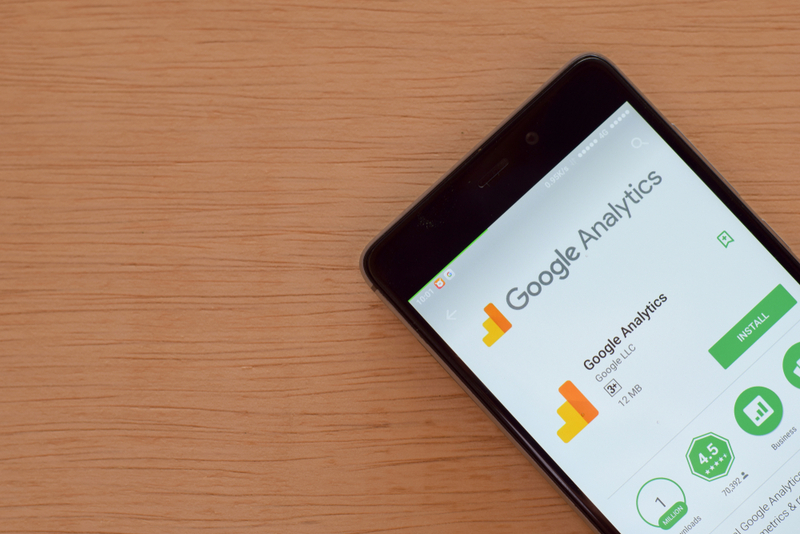 For detailed information on setting and tracking goals, as well as evaluating ad performance, continue following our Google Analytics series. The path from sales prospect to new customer can often feel like a long and winding journey. In between your customer's initial contact with your company and the final purchasing decision, many smaller marketing interactions, or touches, happen along the way. How can you determine which campaign or action had the most influence on a purchasing decision? Applying an attribution model with a multitouch approach can help make data-driven marketing decisions and assign revenue projections to marketing interactions. 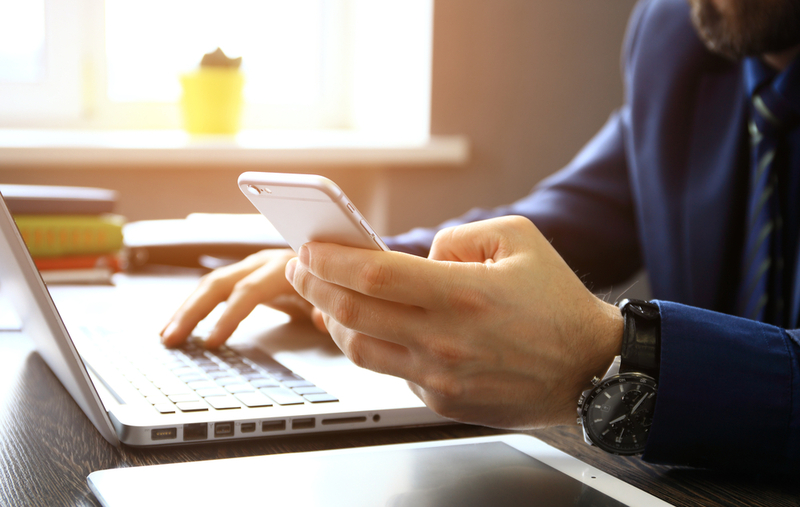 By weighing the importance of each customer interaction before sale conversions, you can compare the costs and benefits of marketing tools, including webinars, eBooks, conferences, cold calls, white papers, and emails, when budgeting marketing dollars. Linear Attribution Model: The linear attribution model gives equal revenue credit to every marketing touch along the buyer's journey. Time-Decay Attribution Model: The time-decay attribution model gives incrementally more revenue credit to marketing touches that occur closer to sales conversion, with the assumption that later interactions have more impact on the purchasing decision. Position-Based Attribution Model: The position-based attribution model, or U-shaped attribution, gives greater revenue credit to the first and last marketing touches, emphasizing both lead generation and last-touch events. Interaction-Based Attribution Model: The interaction-based attribution model takes a customized approach to weighing the specific marketing interactions along the sales journey. For example, an email click-through could be given less revenue credit than a quote request. You spend your marketing dollars where they have the most impact on sales. Sure, your email campaign had a high click-through rate, but did those potential customers convert to sales? Apply a linear attribution model for a better look at the entire funnel as well as to help create a more well-rounded marketing strategy that spends money where it can have the most impact. You'll find your customers where they are. Have you seen plenty of marketing interaction but no increase in sales? An interaction-based attribution model can weigh each touch to identify those that make the most impact on the purchasing decision. If potential customers stop interacting after a webinar or white paper request, this approach can find them there and help complete the journey with a more effective marketing tool. You can project future growth. The ability to assign a dollar value to certain types of marketing activities can help make difficult ROI decisions. For example, is it worth your company's time to attend or sponsor a conference to generate first-touch sales leads? Based on data from previous events and sales, this multitouch approach can help you make an estimation for future growth from these types of activities. Two of the key measuring sticks for advertisers running online ad campaigns are click-through rates and view-through conversions. Of the two, view through conversions are more important to advertisers, yet both metrics are used interchangeably to a fault by many marketers. Let’s learn the differences between these two below, and see how web users interact with ads, from the initial click and view to the conversions. Click-through rates (CTRs) measures the percentage of users who clicked through your link on your email blast, social message or display ad, compared to the total number of web visitors who viewed these elements. CTRs are measured by averages, by format (PPC) and other ways. Recent stats show that about 90% of clicks come from 5% of Web users. The majority of web users are not inclined to click on ads, but they are still used by advertisers, even though CTR rates are not an accurate measure of ad effectiveness. There is also PPC CTR, which is the click through rate for your PPC ads. The higher the amount of click-throughs for your PPC ad essentially means that a large percentage of web users clicked your ad. The general formula for CTR is this: Click-through rate = Total PPC ad clicks on Ad/Total Ad Impressions. Basic CTR shows the rate of ad clicks to the average impressions in your AdWords campaigns. This formula works in AdWords across your individual keywords. When visitors see your ads, they click on it. Those who follow through to convert make up your click-through conversions. That’s the percentage of those clicks that converted compared to the total number of ad clicks received. High percentages of click-through rates on ads have numerous benefits for advertisers, including a higher overall quality score, higher impression shares (how often your ad is served), lower CPC costs and more favorable ad rankings from Google. View-through conversions (VTCs) are more important in the overall marketing mix. VTCs happen when a web visitor is shown your ad, and doesn’t immediately click on the ad, but later returns to your website for a conversion. This metric offers better insights to marketers about the responses of their targeted audiences. Maybe they didn’t click on the ad, but they indeed converted at your site later on. That’s the ROI of view-through conversions that matters most to help marketers. VTCs bring more value to clients and help marketers deliver better ROI on display ad campaigns over a longer period. The view-through rate is calculated by total number of view-through conversions / total number of impressions. - View-through conversions show advertisers that their display ads *are* working, though maybe later in the customer’s journey through the sales funnel. View-through conversions matter more for those who are higher in the funnel, and thus more apt to look seriously at a purchase on your site. - VTCs can help lift a website higher in search rankings. When display ads turn into conversions, that shows that the ads are relevant and helpful to users, and thus deserving of a higher ad ranking. - View-through conversions also show advertisers different considerations about the impact of some of the ads. The results can impact how a web user later decides to visit a site for a conversion, how the audience shopping habits are changing, the quality of the ad placements, and more. To see how your display ad campaigns stack up against other industry leaders, click over to Google Display Benchmarks for a variety of measurement opportunities.